If you want to call international at extremely low rates from any country in the world, then our International Callback service is the perfect option for you! Reduce times to top up your China or other prepaid cell phone. Call back service can be post-paid by credit card. 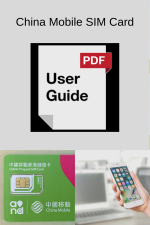 You may have difficulties to find top up vouchers for your cell phone in a foreign country. Some China or other prepaid cell phone has no international call feature. Then, call back service works to make international calls. There are additional trigger methods by using internet, email or sms. Receive a monthly statement by e-mail with call details at no additional charge. Usually prepaid cell phone accounts do not provide call deails. 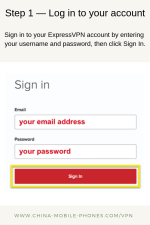 Upon sign up for the Call back service, customer receives a unique and exclusive US phone number, also referred to as access number. To place an international phone call, the customer first dials the US access number and hangs up at first ring. In a few seconds, our switching center calls the customer's phone number back and gives a message prompting the customer to dial the destination number. It's that simple! Make various calls once the callback is received without having to dial the callback number again. There are no monthly fees, connection fees, or charges forincomplete or busy calls! We offer easy payment options; we can debit your monthly usage from your preferred credit card, or you can pre-pay your account every month, it's your choice! You receive a monthly statement statement by e-mail with call details at no additional charge! We offer excellent customer service! As a United World Telecom customer, you will receive individual attention from our trained and qualified staff. 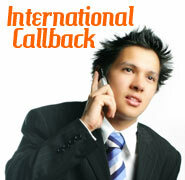 The International Callback service is available from any country in the world! 1. Will the local telecommunication provider charge me when using the Callback service? No, the local telecommunication provider will not charge you when using our Callback service. Since you hang up after the first ring on the initial call to your access number, this call is not completed, and therefore you are not charged for this initial call. After you hang up, you receive a callback from our network in the USA, which gives you access to United World Telecom services with significantly lower international calling rates. Your local telecommunications provider will not charge you for this callback either as it is an incoming call to your phone number ( if you use a cell phone, there is incoming call charge if any from your cell phone carrier after a call is connected. In China, some SIM cards are incoming call free. If you are not sure about your incoming call rate, please Write to US ). 2. How do I place a call using the Callback service? Dial your access number the same way you would dial a US phone number from your country. After dialing the access number, wait for the first ring and hang up the phone. In a few seconds, your phone will ring, and there will be a message prompting you to dial your destination number. 3. Are there any minimum usage requirements? No, there are no minimum usage requirements for our callback service. 5. How long does it take to open my new account? It will take 1 to 2 business days to open your account from the time you send us your request for service. 6. Can I use this service from any phone? Are the rates the same? Yes, our callback service can be used from a mobile phone, a fixed phone and even from a pay phone (if it has a unique phone number). There is no need for an additional equipment. You only need to make sure that the phone generates DTMF tones (the phone must be set at "tone" mode NOT on "pulse" mode). The rates can vary when calling to and from a mobile phone or a fixed phone, so please check call back rates above for more information. For more questions please feel free to contact us by e-mail. You will find our contact info through the following link: Contact Us.